I SDE Committee members Dr. Mark Ferguson and Dr. Donald Low attend STS 54th Annual Meeting & STS/AATS Tech-Con 2018 in For Lauderdale, Florida. ﻿ We are pleased to share the EoE panel discussion recorded at DDW 2017 in Chicago, IL. Check out the discussion video by clicking on the link below. Enter our ISDE Social Media Challenge for a chance to win one of two ipads! See details below. ﻿ISDE2018 early bird registration opens on Friday February 9, 2018. 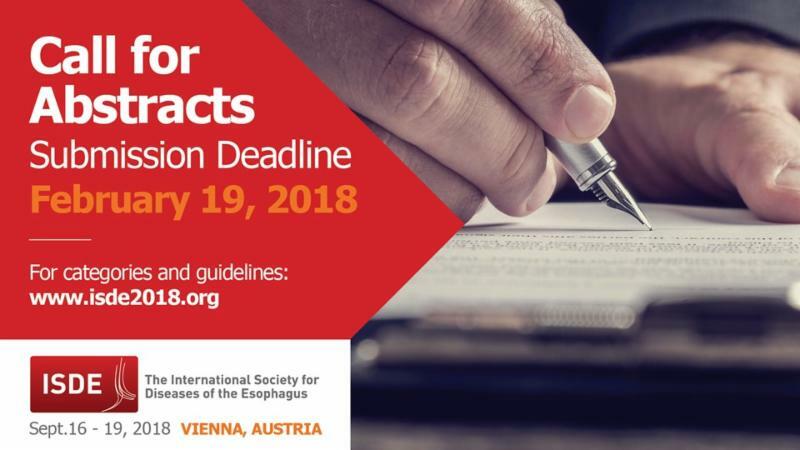 Abstract deadline is Monday February 19, 2018 - Don't miss the chance to share your work at ISDE2018.